I have complicated feelings about the new Star Trek movies. Complicated. Feelings. That didn’t stop me from going to see the newest one, Star Trek Beyond, on opening weekend, or from enjoying it! But because I’ve noticed that those complicated feelings get more complicated, and tend to shift, the longer I think about these movies, I do feel I have to write a disclaimer…that the review to follow is my initial impression. It may not be stable. But it is a little complicated! This is perhaps the most straight-forward plot we’ve seen yet. Out in deep space, the Enterprise enters an isolated bit of the galaxy (there may have been a nebula or an asteroid formation or something cutting it off…I didn’t quite follow) to respond to a distress signal. They encounter unexpectedly fierce enemies and end up stranded on a planet, without a ship and split up into pairs of regular characters, while a madman seeks an ancient weapon to destroy the Federation. Compared to the last two, that was really straight-forward and logical. Considering some of the plot problems of the previous two, this was a big step forward! I liked the decision to split the crew up too, because it gave us a chance to really see everyone. To some degree this has felt like the Kirk and Spock Show lately, so it was good to see more of the characters get a fair shot. More on that later. The short version of my complicated feelings about the last two movies is that I enjoyed watching both but the first one had a good portrayal of the characters and an idiotic plot; the second one had a better plot but went off the rails with the characters. And the third one? Good, not exceptional plot, some delightful character moments and some character moments that were just off. It didn’t help that we began with a rough first five minutes. We start with Kirk wildly fumbling a negotiation, which had me sitting there going, “No no no, have you never seen ‘The Corbomite Maneuver’?? Kirk talks his way out of things, that’s what he does.” This is promptly followed by Kirk recording a log entry about his dissatisfaction with their five year mission. And and and…have they never read Prime Directive??? (Probably not.) The dream of traveling the stars is a defining aspect of Kirk. He can’t get bored on the five year mission! Although I will grant you that the remark about his life becoming episodic made me smile. All this is then followed up by Kirk (justifiably) complaining about McCoy’s bedside manner, which, by the way, is his defining aspect. Crusty and grumpy, yes, but a caring doctor who harangues Spock on the subject of bedside manner. Though considering this conversation happened over drinks, at least the circumstances were good. So it was a rocky beginning. But I’m pleased to say it improved from there. The characters got a lot of nice moments in here too. And they seem to have grown-up between movies. The informality and frankly immaturity of the starship crew drove me mad in the second movie, but they actually felt like professionals this time around. Pine’s Kirk toned down the arrogance and actually listened to his crew. I especially loved a bit where they needed a plan, and every (major) crew member contributed a new thought in rapid-fire succession to put it together. The pairings on the planet were brilliantly done. Chekov’s young enthusiasm balanced nicely with Kirk’s increased maturity. Scotty was very funny picking up a new, very fierce alien friend. Sulu and Uhura wound up captured, but Uhura got what might be this character’s best moment ever when Spock finds out she does not actually need to be rescued, thanks very much. And Spock and McCoy. I was so delighted to learn that Spock and McCoy would be stranded together, because…let’s break-up this idea that it’s only the Kirk and Spock friendship that matters! There was much more McCoy in this movie than the last two, and balance felt very nearly restored to the galaxy. Not quite. We need a little more McCoy. But we got awfully close to the proper arrangement. Spock and McCoy had some wonderful banter moments…and a really dreadful moment when Spock first got misty-eyed and then smiled. Teeth showing and everything. Which, just…no. Only here is that okay. But there were less of those “wait, what?” moments than in the last two movies. They did some very cool things with alien races in here too, and even cooler things with ship and space station design. Loved the space station with interlocking arcs with different gravity directions on each. SO cool. I didn’t love how long some of the fight sequences went on or how many of them were in the dark. I didn’t love that Pine’s Kirk is still not proving to me that he’s as awesome as Shatner’s Kirk, but at least he’s not so full of himself about it anymore. I think this was the first of the new movies that really conveyed the idea that these are alternate universe versions of these characters. Not that they clarified the science side of that, but it simply became clearer that these characters–Kirk at least–were influenced by different things in their past, and so are different people today. And to be honest? I don’t like them as well. I miss Shatner’s much more brilliant and charismatic Kirk, Nimoy’s far more Zen Spock, and Kelley’s crabby but twinkle-eyed McCoy. But to be fair, those are three of my absolute favorite characters ever found anywhere. And you know, I liked these people too. I don’t think I liked them very much in the second movie, but this time, I liked them. And I think I’d like to keep seeing movies with them. And that’s a pretty good, not quite so complicated reaction to a movie. In my review for the previous movie, I ended by saying I was hoping for more McCoy and more maturity in the next one. I think I got both! Now I’m hoping they can take that, build on it, and make these characters as awesome and epic as I know they can be! Overall I liked it. There are bits that I’m not too cool with (mostly inane plot devices), but overall, a much better movie than the first two. It felt like the writers were finally creating their own story, which I appreciate. I think there were a lot of small lines thrown in that only Trek fans would get, and it was great. Kirk complaining that he ripped his shirt again. Mentions of the MACOs and the Xindi war. Stuff like that. I love the small inclusion of a Nimoy tribute right in the film. It was nice. I agree that Spock laughing was completely wrong. They’re always messing with Spock’s character in these movies and I don’t much like Quinto’s portrayal, either. He always seems slightly arrogant, and a slight emotion in Spock is always going to feel bigger because he’s Spock. But I must say that the look of horror on McCoy’s face when Spock did start smiling was absolutely beautiful. I, too, loved that we got more McCoy! (Karl Urban’s McCoy is my favorite part of these movies.) And more Spock-McCoy interaction. I still feel that everyone is using first names way, way too much. Spock even called McCoy Leonard and I have NEVER heard him do that. It really bothers me. Love the new alien Jaylah and I really hope, if they do another movie, that she shows up. Scotty was pretty awesome. I think it ended very positively. It was kind of like the two sides of sci fi battling it out. A lot of sci fi, and certainly the more recent stuff, seems to be about “dark, gritty” stories. There is no hope. Not only do things not get better, they continually get worse. It’s not just in sci fi: it’s a trend I’ve seen in modern media in general. I just can’t take too much of that. Then there’s Star Trek, which was always about a bright, hopeful future. Yeah, there was conflict and they had to take on hard things and live with consequences, but it was always about being better, overcoming those hardships, learning, and becoming better people and a better society. The first mission is to seek out new life and new civilizations… to become friends and to learn from each other. Krall represented that whole darker view. Kirk and crew represent the brighter view. And they won. They won with teamwork and love and trust and loud music. 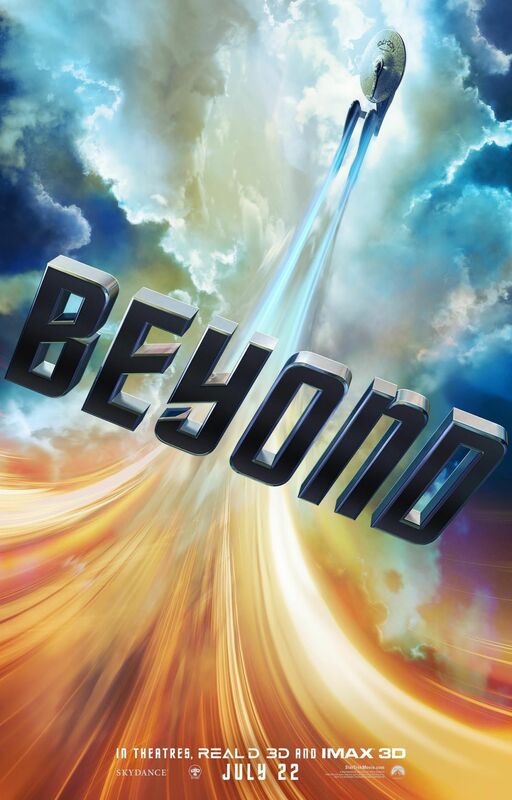 I was really worried for Star Trek after the first two movies, because they did seem to be going down that same “darker, grittier” path, but this one turned that around. And it gives me a little bit of hope for the new Star Trek series, too. The fact that these actors are making some headway in improving their portrayals of what are such iconic characters says something in and of itself. 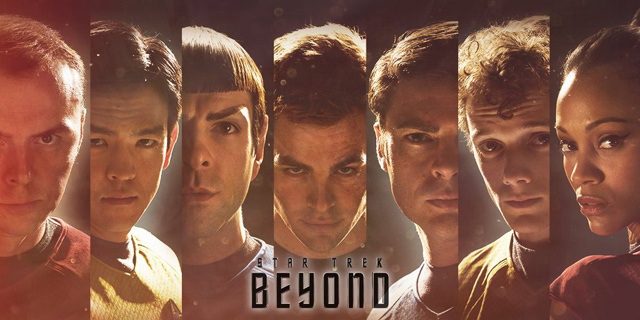 I give them points for even attempting to portray Kirk, Spock, McCoy, et. al. They are so beloved by Trek fans that the task is quite difficult.